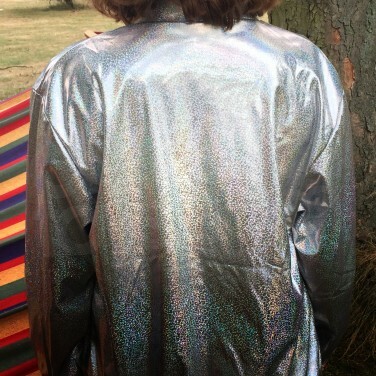 Rock a party look and accessorise with sparkles in a funky silver jacket with holographic effects! 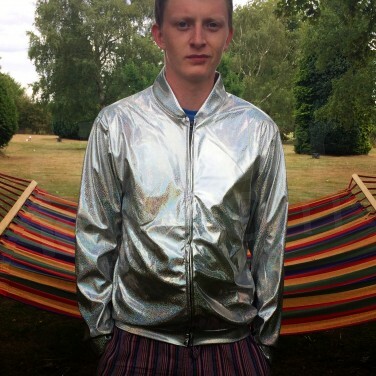 See your jacket come to life in a rainbow of ever changing colour as you party in daylight and even after dark under disco lighting! 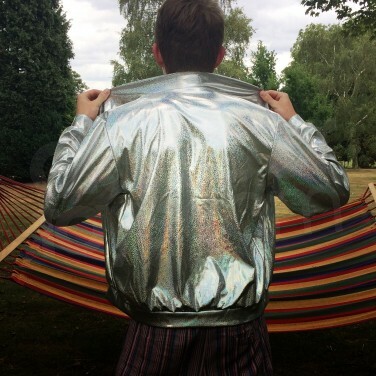 A funky bomber jacket that sparkles like no other, this unisex jacket looks awesome on guys and girls for incredible party or festival looks! Unisex; suitable for guys and girls!